Out now is a brand new digital single by the German electropop act AD:keY. The 8-track single (actually more an EP) by this Berlin-based duo (Andrea and Rene Nowotny) stays faithful to the project’s uncompromised old-school dancefloor EBM. 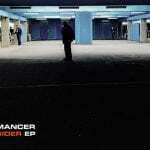 You can check out this fine release (including remixes by Angriffspakt and Massiv In Mensch) right below. This is a must for all those looking for good powerful EBM! There’s also a download available via Bandcamp, iTunes etc..